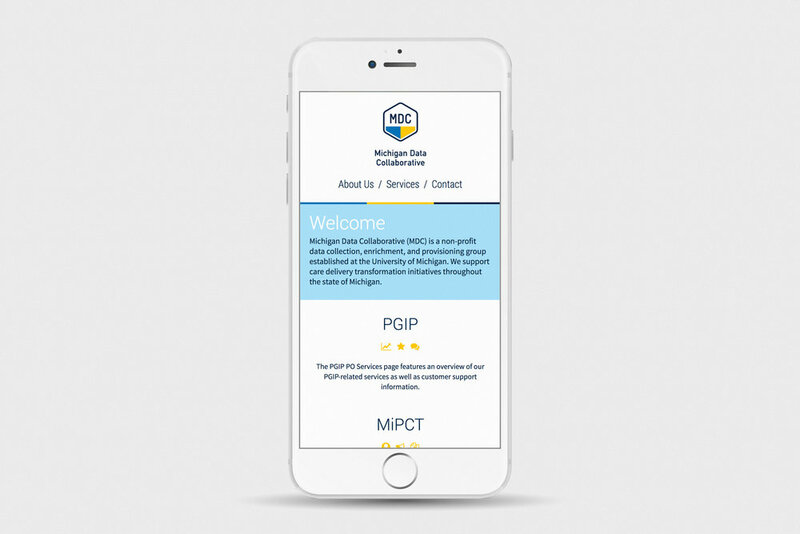 Extensive cross-discipline collaboration brought about this sprawling 44-page celebration of Michigan Medicine’s Health Information Technology & Services (HITS) first year of operation. A thank-you gift from 826michigan to the volunteers that keep the organization running. A simplified graphic language humanizes challenging data-centric concepts in this set of charts, diagrams, and timelines for various teams within Health Information Technology & Services. 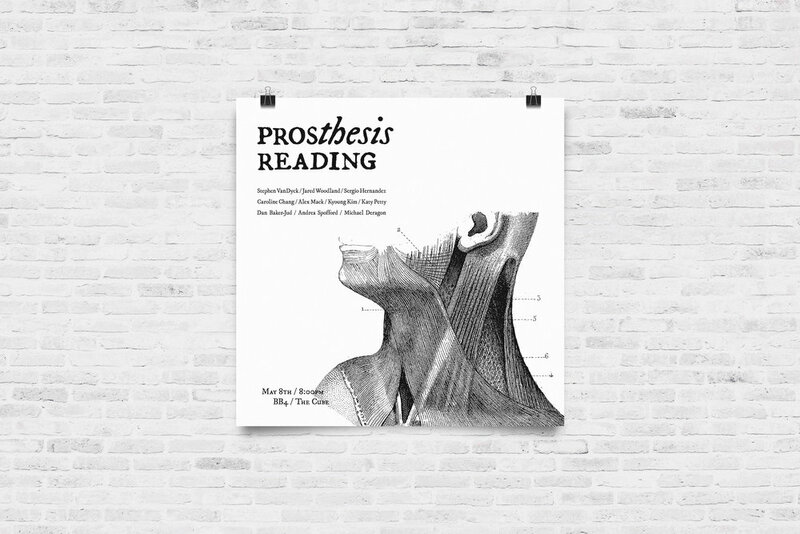 A group of macabre low-budget black-and-white posters promoting a master’s thesis reading at CalArts. Printed on plotters at Kinkos for less than $8 a piece. A series of five consecutive issues, averaging 28-pages in length, between 2013–2015. 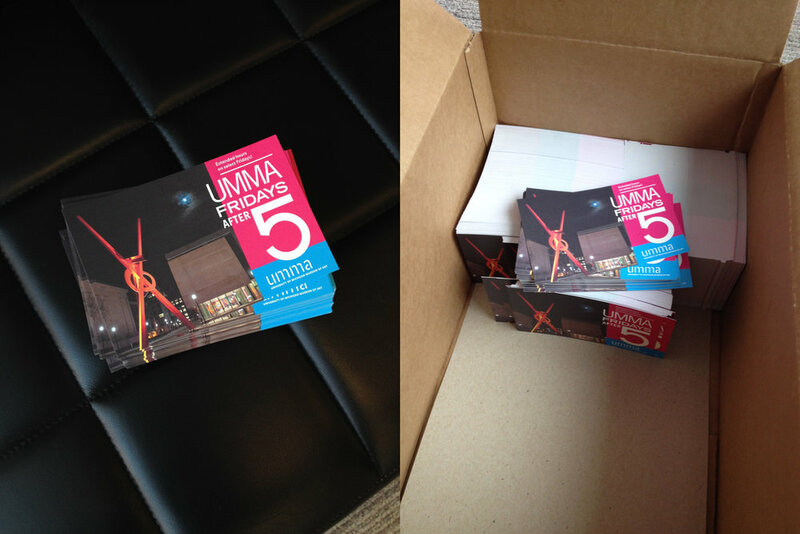 Designed within University of Michigan Museum of Art (UMMA) standards, in close collaboration with UMMA’s team of writers, editors, and Director, Joseph Rosa. 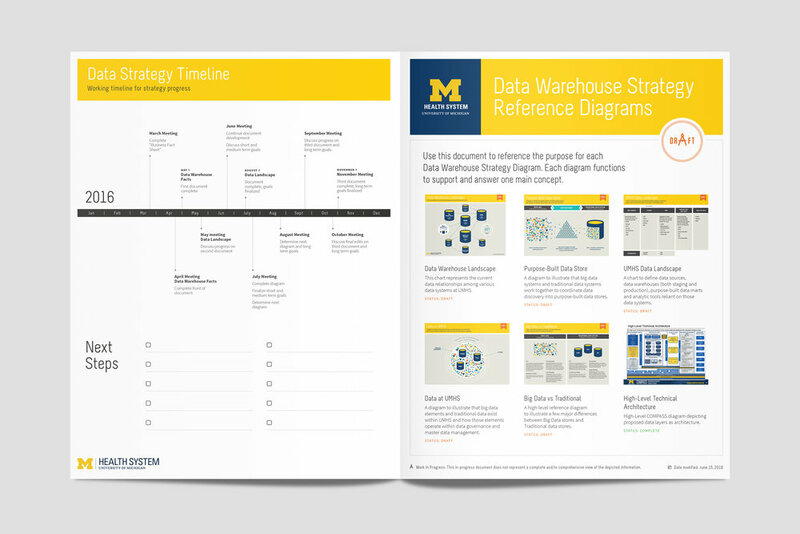 A concentrated subset of U-M color combined with a systematic approach to page layout brings continuity across numerous internal technical documents and public-facing marketing materials for the Michigan Data Collaborative (MDC). 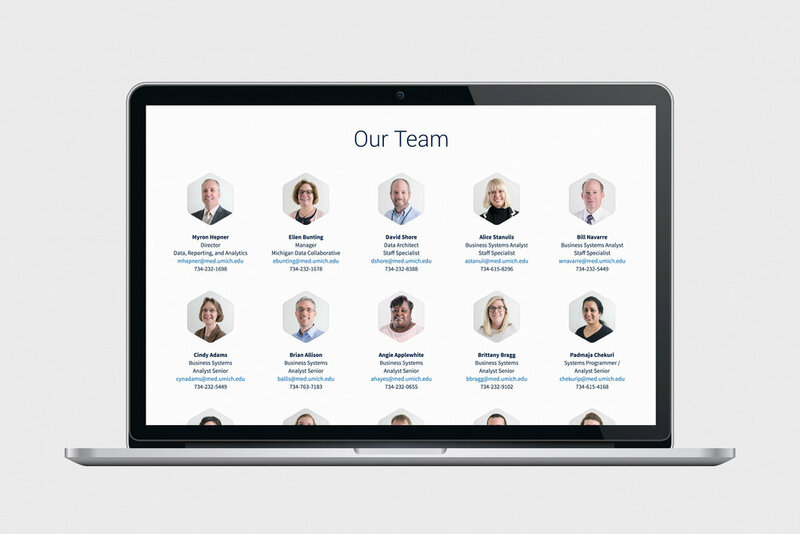 A custom hand-coded responsive layout, consistent studio portraiture, and a unique news-delivery solution elevate Michigan Data Collaborative’s website above industry competitors within the state and beyond. Identity and hand-coded website for a local video production company. Graphic treatment inspired by the loud and vibrant aesthetic of SMPTE color bars traditionally used as television test patterns. A 200-page anthology of student stories, poems, plays, and much more. Custom graphics were created using the Suminagashi paper marbling technique. 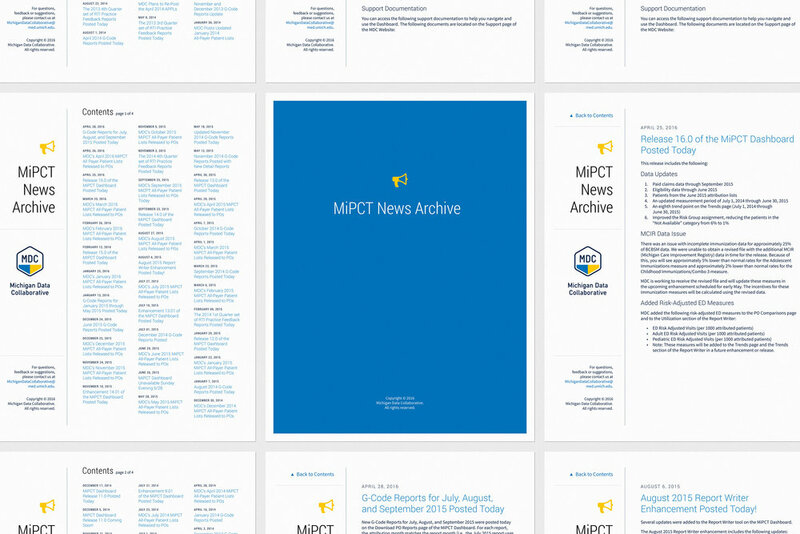 My fourth volunteer design effort towards a major 826michigan publication. Meticulous typesetting support from Ken Caldwell. A tongue-in-cheek “company name” and visual identity system for a local brew-themed wedding. The classic C-as-moon-shape conceit given new life when paired with Albertus and a modified earth icon for the HITS Eclipse Viewing Party at Domino’s Farms. 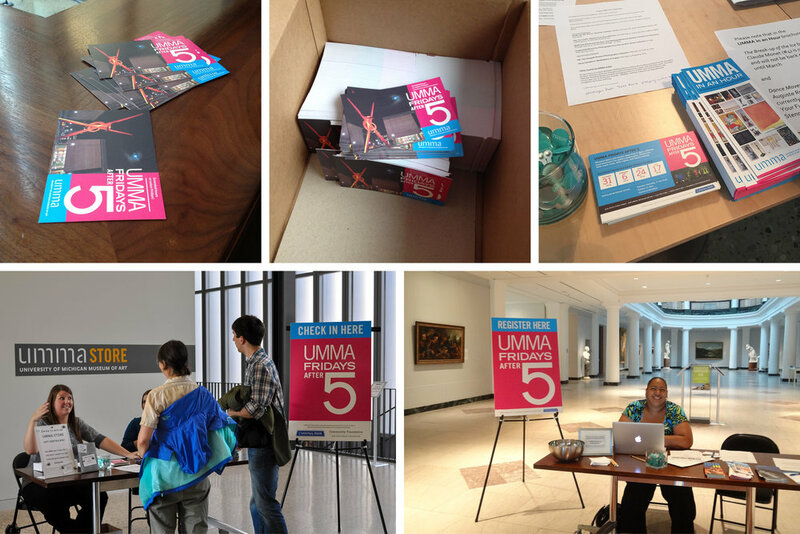 An outreach campaign for an ongoing series of Friday evenings at UMMA, where the public is invited to enjoy the museum after its usual closing time. Direct mailers, html emails, digital signs, and social media graphics are unified through consistent mark application and vibrant color palette. A 268-page combination of student writing and recipe contributions from well-known chefs with Michigan roots (Mario Batali, Ari Weinzweig, and more). Cloth-bound cover with foil stamping, enclosed with CMYK-printed belly band. For sale at book stores and restaurants around Ann Arbor and Ypsilanti. A contribution to the University of Michigan Graphic Style Guide. 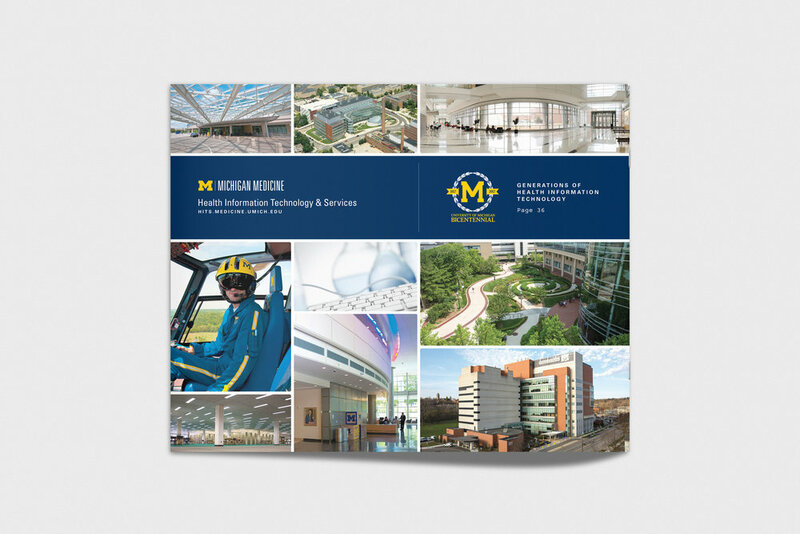 These Adobe Swatch Exchange (.ase) files provide university communicators with quick and consistent access to the complete range of U-M color inside their Adobe programs. Supporting documentation includes at-a-glance color values and installation instructions.